This video is a computer-generated simulation of the impressive new Sports Centre for Warwick University which is due to open in Spring 2019. There were several local car thefts over the past weekend (13th/14th October). There were two in Hodgetts Lane, one in Charter Avenue, and others in Bannerbrook and Kenilworth. The theft in Charter Avenue involved 'keyless' car theft. 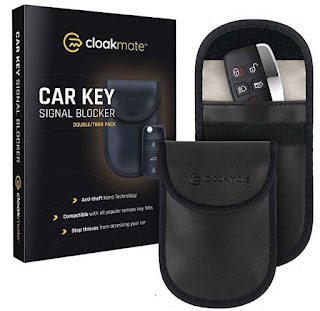 This is a sophisticated form of theft that is possible with some models of car in which a pair of thieves can activate a key fob to unlock the car even if the key is within someone's house. Keyless car theft can be reduced by storing the key inside a Faraday bag. This is a simple bag with a metal mesh lining. These are available from Amazon (and other suppliers) for around £8. There are many different brands available. The planning scandal, involving protracted secret collusion among 3 local authorities and HS2, has now been reported by the Solihull Observer. There is little of substance that is new in this report, though it does include Solihull's official response. As yet there has been no official response from Warwick County Council to accusations that council employees deliberately lied to, and tried to mislead, the public. "Berkswell councillors were astounded to receive copies of a map showing a four-lane highway through Balsall Common. “It had been forced from Solihull council by the Information Commissioner after years of work by a local resident. A rapidly organised meeting was held with the SMBC Infrastructure Manager concerned... 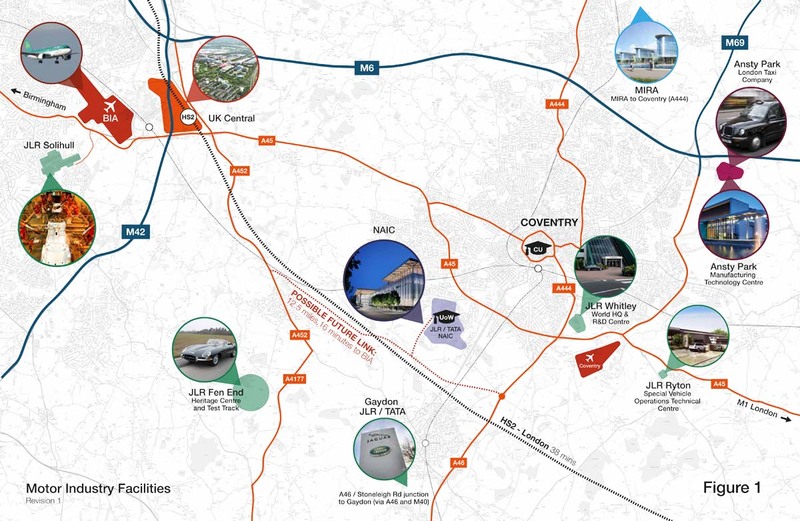 The current status is that nothing is yet planned (for phase three) but Coventry have a wish to put their traffic, caused by their planned development, through the Meriden Gap possibly through Balsall Common. “SMBC have not yet instructed their officials to tell Coventry that no route through Balsall Common is acceptable for a four-lane highway. This is one of the leaflets that were distributed at one of the public information events. Several residents independently asked about plans for Phase 3, as this was the phase that was of most concern to residents. Assurances were given that no plans for Phase 3 existed. Maps did exist but had been classed as 'highly confidential'. These maps (which are reproduced below) have now been dismissed by Solihull as 'dots on a map'. 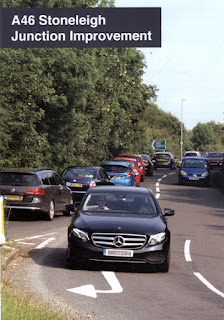 The closing date for objections to Phase 1, the A46 roundabout, is Wednesday 5th September. Please make your concerns known should you feel that more more complete information should be provided about the overall scheme before such strategic decisions can be made. Objections should be sent to: The Secretary of State for Transport, National Transport Casework Team, Tyneside House, Skinnerburn Road, Newcastle Business Park, Newcastle upon Tyne, NE4 7AR or nationalcasework@dft.gov.uk, quoting “A46 Trunk Road Stoneleigh Junction (Slip Roads) Order” and stating the grounds of objection. At various recent public consultations local council employees from WCC have denied the existence of any specific plans for the 3rd phase of this project passing through Burton Green. Under the Freedom of Information Act, Dr Thornton has managed to obtain plans produced in 2016, and which had been labelled 'Highly Confidential'. It has taken more than two years of appeal to the council, then the Information Commissioner, then the Information Tribunal, to obtain the judgement that withholding this information was unlawful. The important message is that Solihull Metropolitan Borough Council withheld information unlawfully. The information that has now been released is 2 years old. We know that the authorities have done more work since then, in secret. This needs to be published without further delay. Councillors need to make sure that this happens. 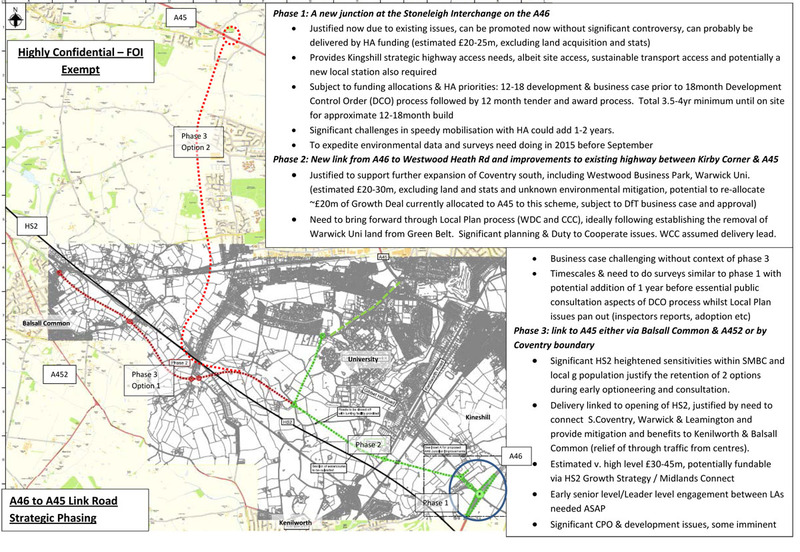 Maps have previvously been seen which showed some 'high level' options for the road through Westwood Heath but this is the first time any options have been seen for the road to go through Burton Green or interfaced with HS2. HS2 had previously denied they were in talks about Phase 3 of the road but only recently have confirmed that there have been discussions. 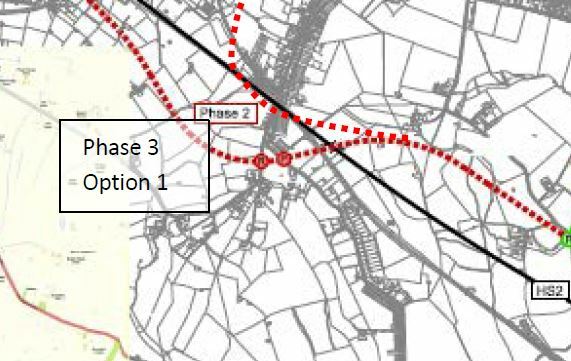 As you can see, in that plan, the Phase 3 Option 1 route passes across the area of the proposed Burrow Hill housing estate and the site of the new Village Hall. More recent plans presumably exist but are being kept secret. "So that Solihull council will benefit from the assistance of electors, council taxpayers and the wider expert public much earlier in its deliberations on matters that may affect the environment, I hope that this decision will cause reflection within the authority and a greater understanding of the democratic principles and provisions of the Arrhuss Convention. Going forward, I hope you will ensure that council officers recognise that their previously claimed need for "space to think in private and debate and explore options and solutions" is, and should be, substantially restricted. Particularly, I hope there will be further reflection on your obligations under regulation 4 of the EIRs to publish environmental information at the earliest opportunity even if it has not been requested. The era of secret meetings between colluding planning officers from various local authorities, over an extended period, apparently without even the knowledge of elected representatives, should have been consigned to history. " 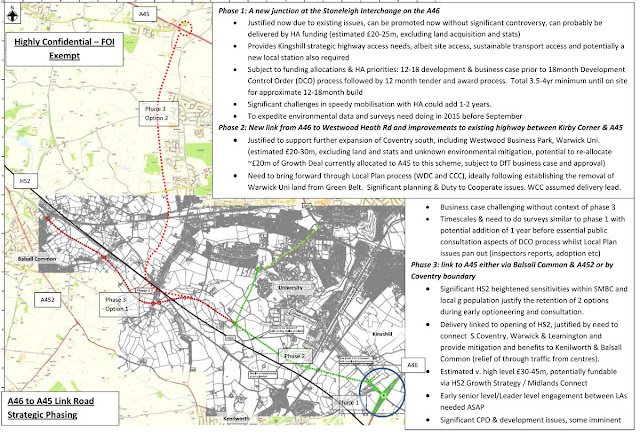 "Whilst it is clear that a wide number of route options have been or are being looked at -- taking account of land and properties that would have to be acquired, disruption that would be caused, and the costs -- and that a route via Eastern Green was the least probable (because of overall distance to reach UK Central) -- it has seemed to Cllr Marshall that a likely preference would be to continue the phase 3 route along Westwood Heath Road (where there is space for road widening) and across a new junction with Cromwell Lane. This might then continue towards and across Nailcote Lane and Hodgetts Lane, crossing the West Coast Main Line railway above Beechwood Tunnel, then going across Truggist Lane, Baulk Lane and Lavender Hall Lane. A possible end point, where the new road could join the A452, would be the roundabout at the junction with Bradnocks Marsh Lane -- although an alternative, to avoid crossing HS2, would be to continue the new road on the east side of HS2 to join the A452 at the junction with Cornets End Lane and Hampton Lane. Nor is it clear whether the new road should be a single or dual carriageway -- and with few or many intersections? Of course, there are alternatives for the way the new road could pass by, or through, Burton Green and one that has clearly caught a lot of attention recently is it being constructed adjacent to the eastern boundary of HS2. This could be achieved by taking phase 3 of the new road from the vicinity of Cryfield Grange along Cryfield Grange Road over Crackley Lane to pick up the HS2 alignment, passing under Cromwell Lane and along Hodgetts Lane to pick up the route I described earlier going between Berkswell and Ballsall Common towards the A452. James Llewellyn had responded: “I can well appreciate that residents are very concerned about the continuing uncertainties . . . With those concerns in mind, rest assured that we are progressing the Route Options Technical Study as quickly as possible and we hope to be in a position to finalize the route options report by the end of November .” We are planning a pubic consultation on the route option(s) in the spring of 2018."